HHS Secretary Dr. Tom Price said Thursday that he will reimburse taxpayers for taking charter flights for business and personal trips, just a day after President Donald Trump said he was "not happy" with his top health official. "Today, I will write a personal check to the U.S. Treasury for the expenses of my travel on private charter planes," Price said in a statement. "The taxpayers won't pay a dime for my seat on those planes." Reportedly Price has taken at least 24 flights on chartered planes at a cost of over $400,000. However, Price plans to only pay the Treasury just over $51,000 for the flights, according to an HHS spokeswoman. She indicated that this would totally cover the tab owed to taxpayers for Price's seats on the flights. 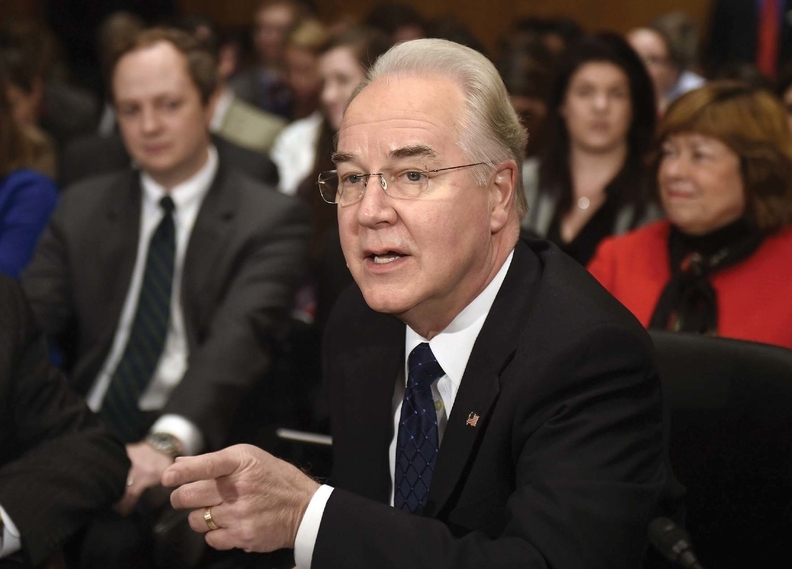 Price also said in his statement that he would take no more charter flights as HHS secretary. Price has been the source of some discontent for both the White House and Capitol Hill for weeks because he has not been aggressive enough in developing conservative health reforms that can be implemented via regulation, according to Christopher Pope, senior fellow at the conservative Manhattan Institute. His most notable achievement has been canceling and scaling back bundled-pay models, but that move was more about maintaining the status quo rather than truly launching something new, Pope said, repeating concerns he has heard on Capitol Hill. A specific criticism has been that HHS has yet to approve any Medicaid waiver requests that seek to impose work requirements, lifetime limits or drug testing on enrollees, according to Yevgeniy Feyman, a Republican analyst. Price is still under investigation by HHS' Office of Inspector General for his use of private jets. It's unclear if his announcement will earn him any good will from Trump and conservative lawmakers. When asked Wednesday if he was considering firing Price, Trump responded: "We'll see."